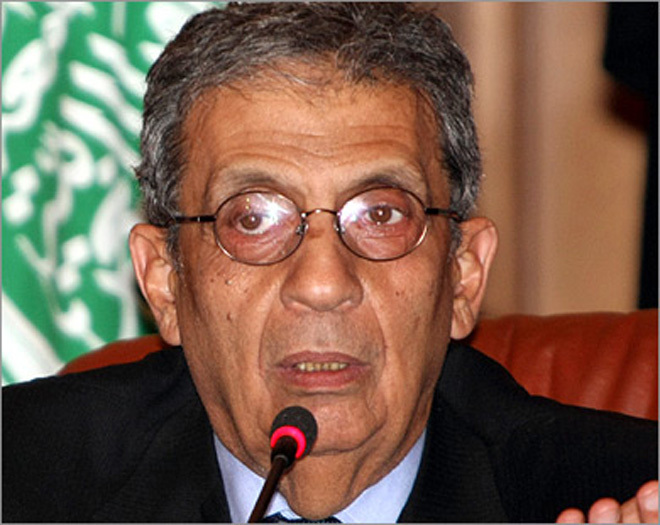 Arab League Secretary-General Amr Moussa spoke in an exclusive interview with Trend Middle East Desk. Q: You have recently stated that you are closely observing the resolution of the Nagorno-Karabakh conflict. What is LAS's estimation of the settlement process the conflict, considering that Azerbaijan is responsible for observing LAS? What steps do you plan to take to expand cooperation with Azerbaijan in the future? A: The LAS secretary general always follows the Nagorno-Karabakh conflict and considers the positions of the Organization of the Islamic Conference, OSCE Minsk Group. In a meeting with Azerbaijani deputy parliamentary speaker in October I had an exchange of views on different aspects of this conflict and its reasons. LAS secretary general is trying to arrange comprehensive research of the territorial conflict between Armenia and Azerbaijan. The report will be submitted to all LAS members, which we believe needs comprehensive cooperation to achieve peaceful resolution and ensure the rights of both sides. It is also necessary to prevent these conflicts, which pose a real threat to security and stability in both countries and in the region. I would like to call on to the OSCE Minsk Group and [LAS] member states to intensify the efforts of achieving a peaceful agreement and to establish relations between the relevant countries and neighbors in the region. Regarding relations between Azerbaijan and LAS, firstly I'd like to say that the Azerbaijani president visited the general secretariat. Furthermore, a memorandum on mutual understanding was signed to strengthen the bilateral cooperation in the fields of mutual interest. I'd also like to note that the deputy speaker invited me to visit Azerbaijan and I promised to pay a visit as soon as possible. In addition, the Azerbaijani deputy parliamentary speaker asked me to dispatch a group of officials and experts of the General Secretariat to estimate the territorial dispute. 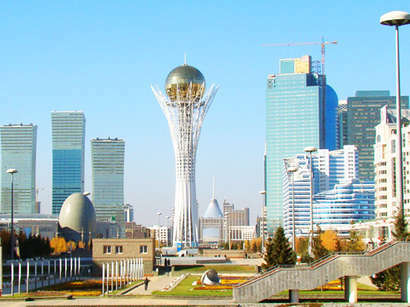 The league is attentively observing the developments in Eurasian, including Azerbaijan. The LAS Council adopted documents, testifying for the cooperation with countries in the region and for the establishment of an economic forum for cooperation between Arab and Eurasian countries. Q: Preventing Middle Eastern countries from obtaining nuclear arms is a priority for many countries in the region. Yet, Iran continues developing its nuclear program and other Arab countries plan on launching their nuclear program for peaceful purposes. Do you believe the Middle East can be a region devoid of nuclear arms? A: No doubt, the Middle East should free itself from nuclear weapons. LAS took serious steps in this respect. We established the Arab Council of Security and Peace and took relevant steps to regulate and strengthen security in Arab countries. Furthermore, all Arab countries, as well as Turkey and Iran, have joined the Nuclear Nonproliferation Treaty (NPT), except Israel. With respect to the Iranian nuclear program, our position is quite clear. Iran, like many other countries of the region, has a right for use of nuclear power for peace purposes. As to the use of a nuclear program for military purpose, we do not see a need for it, as well as evidence for its existence. There is a suspicion of dual standards: there are reports that Israel is pursuing a nuclear program for military purposes, the latter pursues military purposes and its existence has been confirmed a long, though IAEA has not indicated in its statements that Iranian nuclear program is of military character. Q: Earlier, you expressed hope that that Iran will cooperate with Middle Eastern and Arab countries on peace issues. How can Iran become a participant in the regional peace talks and how can a dialogue between Iran and other Arab countries develop? A: Despite disagreements with several Arab countries, we are interrelated with Iran by history, culture and religion, as well as joint projects in the energy and security fields. However, the role of Iran in the conflict with Housits and disagreements with the UAE, and many other questions remain to be discussed in the Arab-Iranian dialogue, which I have been calling for since I took the position of LAS secretary general; and I hope I will be able to do it. Iran is a large country and an emerging power in the region. I believe the European countries and the U.S. will start a dialogue with Iran. During Ali Larijani's visit to LAS in December, we discussed the necessity of holding a dialogue, which should cover all questions concerning disagreements and disputes in the Arab-Iran relations. Furthermore, our Iranian counterparts confirmed their agreement that talks over regional security should be held by coordination with all sides interested in regional reconciliation. No country has the right to speak on behalf of all without such coordination. Here I would like to mention that the Arab world is an important part of the Middle East. Q: Do you think that the Palestinian split has had a negative effect on the peace process between Palestinians and Israelis? Does the creation of a Palestinian state depend on the future efforts of the Arab countries? A: It is necessary to put an end to the Palestinian split soon. The current situation remains dangerous. The League of Arab States is negotiating and making efforts to control the situation and put an end to the split. It can lead to loss of Palestinian rights. The Palestinian people live in very difficult conditions. But at the same time, we must not forget the real problem. It is the continuation of Israel's occupation and the activity of Israel's government. Perhaps, they don't want peace. It would be illogical and beyond the interests of the Palestinians to negotiate with Israel without ceasing construction of settlements, removing the blockade of the Gaza Strip and establishing a time frame for conducting the peace process, stressing the role of the U.N. in this process, as it was before. In fact, diplomatic and legal efforts made recently to bring people to justice for crimes against the Palestinian people managed to convince the world of the seriousness of Israel's actions. Goldstone's report was approved by the U.N. General Assembly and is under consideration of the secretary general now. It is necessary to submit it to the Security Council for discussion. The position recently taken by the EU on this issue is also positive. Fatah and Hamas can not miss this opportunity. There was not a better opportunity before. They both are wrong and take responsibility. We, the Arabs, support the Palestinians and work to solve the Palestinian problem. We must be impartial like Egypt does. Q: In a recent interview with Arab media, you mentioned that you will not be re-elected to the post of LAS secretary general. How do you assess the Arab League's effort in resolving regional conflicts in the past ten years? A: Since I became the general secretary, the league faced several problems, both internal and external. The past years were not easy for the Arabs. The Arab world faced several schisms, conflicts and confrontations. The league has made great efforts to solve these problems. The Arab League has played an important role in some of the Arab, international and regional problems - in Iraq, Lebanon, Sudan and Somalia. It used their funds to resolve these conflicts in which there was no shortage of mediators and arbitrators. In particular, we strived to present the facts and sent the commissions on inquiry and reconciliation. We succeeded and failed in some cases. However, we continue to work in this direction. At the same time, a transitional Arab parliament was created. Its second convocation took place in the League a few days ago. The parliament discussed the strengthening of its role and assumed the responsibility of a legislative body on a pan-Arab level. Moreover, the Arab League called for the involvement of civil society and the private sector, as well as for the holding of conferences and meetings on this issue. There are also other roles of LAS. The Arab countries do not follow them. Economic issues were broadly discussed at the summit in Kuwait in early 2009. There are projects to expand railways and roads with the support of LAS. Regional and international forums, including the Arab-Turkish, Arab-Japanese, Chinese, American and others are held. All this has been recently launched. In 2005, a free trade zone was created among Arab countries. Now, we are discussing the creation of an Arab customs union in 2015. Afterwards, the creation of a unified Arab market will be discussed. 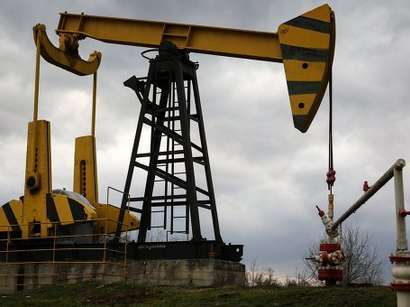 Operations were also launched on the projects of electric power cooperation between Arab countries and the connection of gas pipelines. Operations are conducted to complete the construction of power grids, railway and motor roads. They will be completed within ten years. 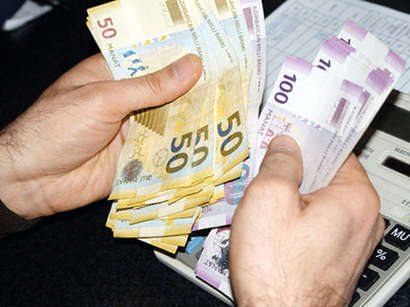 Work is also conducted to finance Arab funds operating under the auspices of the League of Arab States.